SAP BPC (Business Planning and Consolidation) is a software product for supporting companies in performing planning, budgeting, forecasting, consolidation and financial reporting. Originally, this software was developed by the company called OutlookSoft but in 2007 it was acquired by SAP. Now, SAP BPC is included in the portfolio of SAP EPM tools and serves as one of its main components. SAP EPM stands for SAP Enterprise Performance Management and represents a suite of applications for carrying out strategic management of company performance. Another version is run on Microsoft Platform. SAP BPC certification verifies your knowledge of both versions of SAP BPC (SAP NetWeaver and Microsoft Platform). Luckily, these versions are very similar (around 80% is the same) and all the theoretical concepts are the same for both versions. The associate level certification is primarily intended for people with up to three years of hands-on experience in SAP BPC. SAP also states that project experience is not a prerequisite for passing SAP BPC certification. On the other hand, they recommend combining training courses with hands-on SAP implementation experience for the best preparation. You can get these books by attending the official SAP training courses (online or classroom) or by borrowing them from your friends or colleagues who attended SAP training before. Besides reading books with theory, it is a good idea to practice with sample certification questions. They will give you an idea of how good your knowledge of SAP BPC is, what is the format of questions at the real exam, and what are the gaps in your understanding. Finally, it is necessary to perform practical exercises. You can practice with SAP BPC on your job (if your employer has SAP BPC installed and you have access to it) or you can try to download a demo version of SAP BPC from SAP Service Marketplace. In the latter case, you will also need to be able to install the program on your machine by following the documentation provided with the demo. In conclusion, we would like to say that this certification is not extremely difficult. You can get prepared and pass this certification by learning the theoretical concepts described in the books that were listed above, practicing with sample questions, and doing practical exercises in a demo SAP BPC system. If you don’t feel very confident before SAP BPC Certification, we recommend you to consider taking SAP BPC Training. 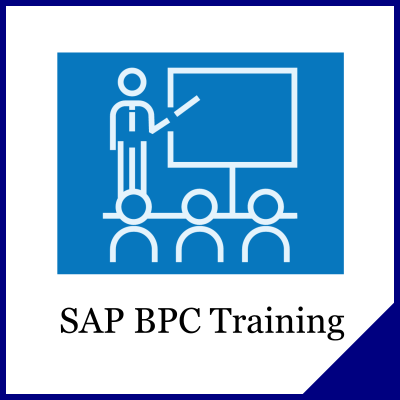 SAP BPC Training is essential if you are a complete beginner in SAP BPC and is beneficial even for those who have some experience as SAP BPC consultants. 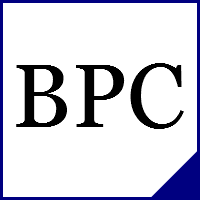 Choose from free and paid BPC courses available online or in your city. 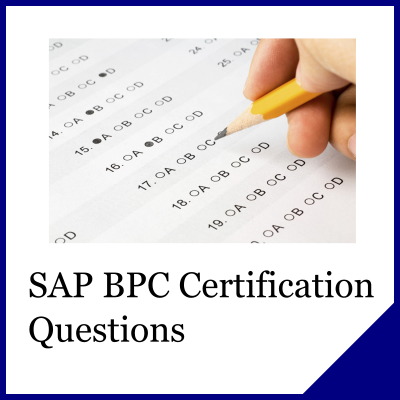 Sample SAP BPC Questions are extremely useful during the preparation for SAP BPC Certification. They can help you to practice before the real exam and to evaluate your knowledge. You should attempt to answer these questions. Do not worry, if you’re able to answer only a few from the first attempt. Instead, try to understand why the answers were wrong. 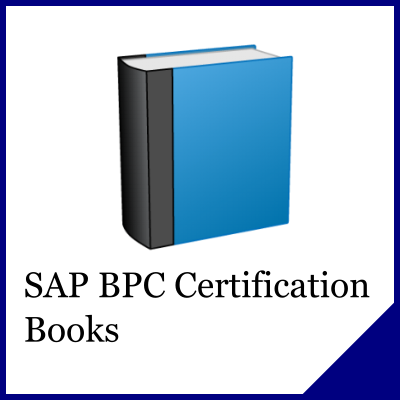 If you are completely new to SAP BPC, it is probably a good idea to first get one of SAP BPC Books and grasp some basics. On the other hand, it also makes sense to browse SAP Books if you are already experienced SAP consultant. The level of SAP Books varies and everyone will definitely find and learn something new from the books. If you prepare for SAP BPC certification, you should make sure that you spend your time efficiently. It really helps to have a plan of preparation beforehand. 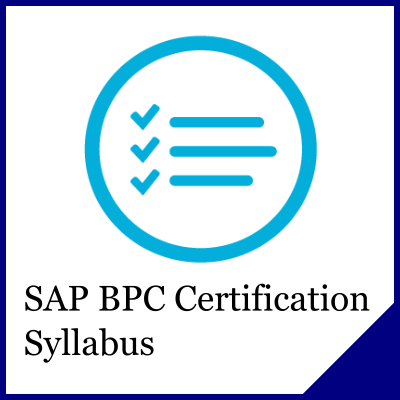 You should make this plan according to SAP BPC Certification Syllabus and allocate your time according to the importance of the topics (for example, pricing or master data) as indicated in the syllabus. 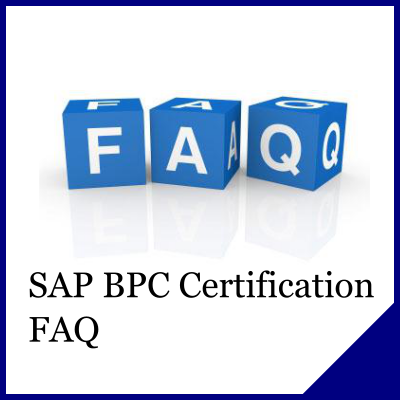 SAP BPC Certification FAQ (Frequently Asked Questions) is an archive of the most frequently asked questions that are related to SAP Certification. We collected them in one place and provided answers for every question, so that people do not need to ask the same question again and again at SAP-related forums.